The Quick Curve Ruler is used to cut the curve shapes out and square the blocks up after piecing. The ruler is a quality acrylic ruler with a curve cut out, where your rotary blade of any size will fit into for easy cutting. 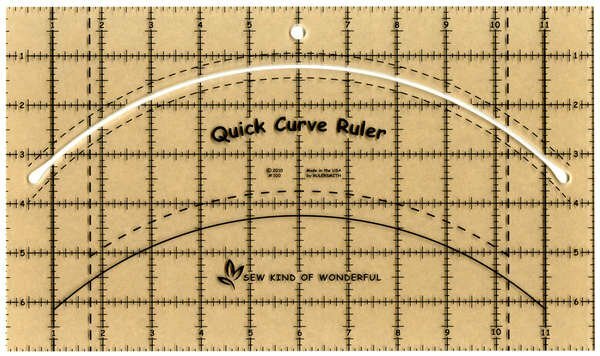 This ruler can be used with all Sew Kind of Wonderful© patterns. 7" x 12" in size and has a hang hole for storage convenience. Your ruler comes with a free pattern called "Urban Runner".